Ryan Neil ten Doeschate (; born June 30, 1980) is a Dutch professional cricketer who has represented the Netherlands at both One Day International (ODI) and Twenty20 International (T20I) level. Considered "one of the finest players the non-Test world has ever produced", he has been named ICC Associate Player of the Year on a record three occasions, in 2008, 2010, and 2011. 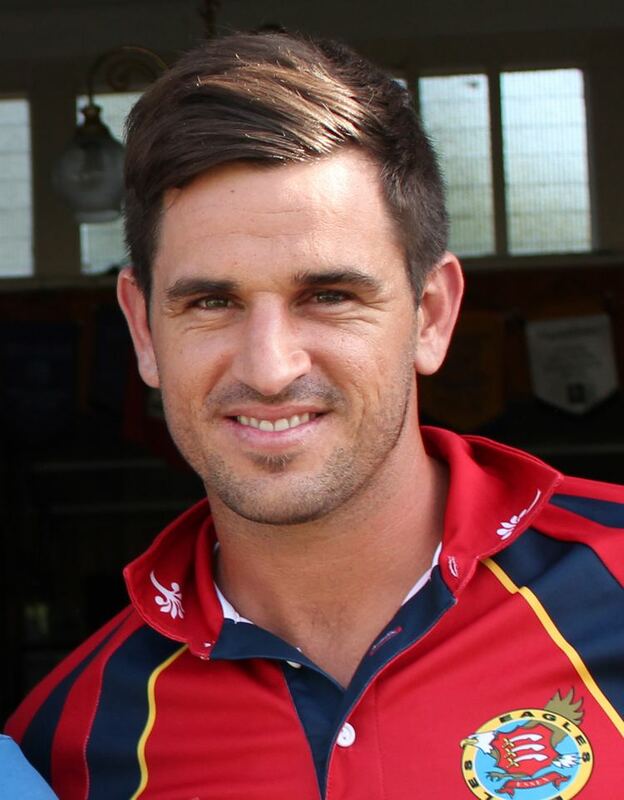 Born and raised in South Africa, ten Doeschate signed with Essex CCC for the 2003 English season, qualifying under the Bosman ruling through his Dutch (and hence European Union) citizenship. A right-handed all-rounder, he first represented the Dutch national team at the 2005 ICC Trophy, and has since played a number of other tournaments for the side, including the 2009 World Twenty20 and the 2011 World Cup. At the latter tournament, ten Doeschate scored 119 runs against England, the first ODI century by a Dutch player against a full member of the ICC. At domestic level, Ten Doeschate first established himself as a regular for Essex during the 2006 season, and was named the teams limited-overs captain for the 2014 season. He has also represented a number of professional Twenty20 sides in other countries, including franchises in Australias KFC Twenty20 Big Bash, the Bangladesh Premier League, the Indian Premier League, New Zealands HRV Twenty20, South Africas MiWay T20 Challenge, and Zimbabwes Stanbic Bank 20 Series. Ten Doeschates domestic commitments have prevented him from playing regularly for the Netherlands, with his most recent international match coming in 2011. He matriculated at Fairbairn College in Goodwood, near Cape Town in 1998. Whilst at school, he excelled at both rugby and cricket. In 2003, Gooch was on tour with Essex in South Africa and saw ten Doeschates talent for the first time in a match against a Western Province second XI. Against Essex, he first excelled with the ball in a four-day game. He then did well with the bat in a one-dayer. It did not take long for Gooch to talk to old friend Peter Kirsten one of the Western Province coaches who mentioned ten Doeschates EU citizenship passport that would make him eligible to play in England. In successive innings in international matches for The Netherlands in the ICC Intercontinental Cup competition in 2005 and 2006 he scored 84, 158, 138, 100 and finally 259 not out in the victory over Canada in December 2006. This latter innings set a new record for the competition, breaking the mark of 247 established by Bermudas David Hemp earlier in the same tournament. ten Doeschate was selected in the Netherlands squad for the 2007 Cricket World Cup. In a warm-up match prior to the World Cup, he captured five wickets against a strong India team. His haul included the wickets of Sourav Ganguly, Virender Sehwag, Yuvraj Singh and Mahendra Singh Dhoni.